Live from Waterloo: Silly Monkey Stories #78 – It tastes the same! 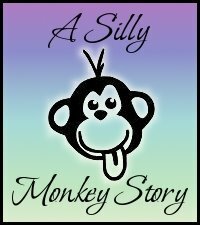 Silly Monkey Stories #78 – It tastes the same! - Mom! Ranch in Pennsylvania tastes the same than Ranch at home! - Mami! El Ranch de Pennsylvania tiene el mismo gusto que el Ranch de casa! I love Florencia stories. She has so much personality! I feel for you when she is a teenager though. It is always so cute to hear what children believe they are experts about. Thanks Gabriel! Merry Christmas to you and your beautiful family!! You should be able to click on the photo to enlarge it and then save it to your computer. Que linda la enana! Y como siempre, tiene toda la razon! Yo no soy amante de los vegetales pero reconozco que el Ranch ayuda bastante a darles sabor.